Tracy Lawrence unisex heather Aubergine (purple) 4.7 oz., 50/25/25 polyester/combed ringspun cotton/rayon, Tri blend tee. 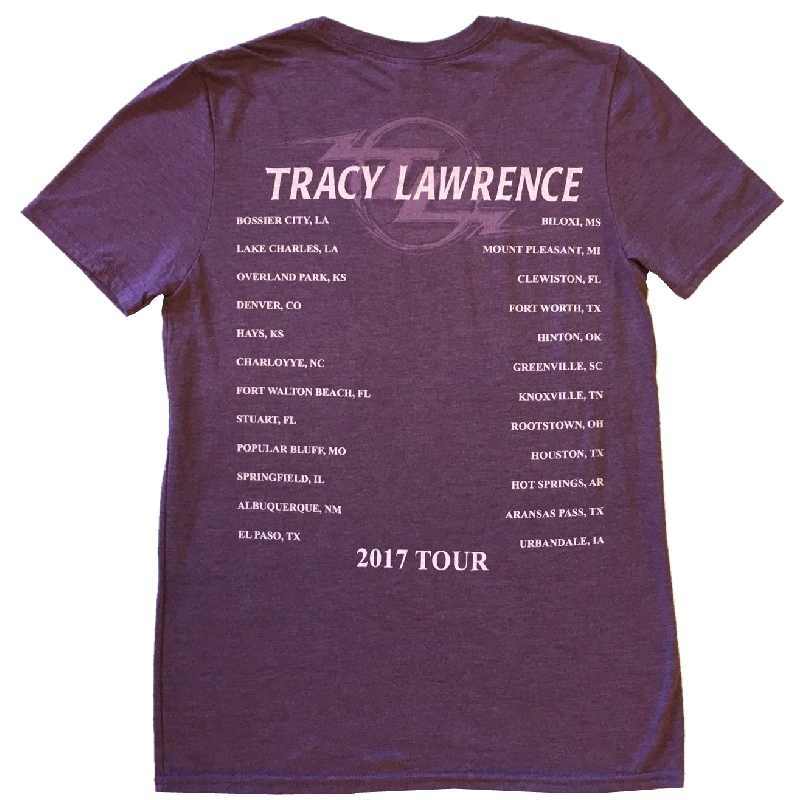 Tracy Lawrence photo on the front and 2017 tour dates on the back. 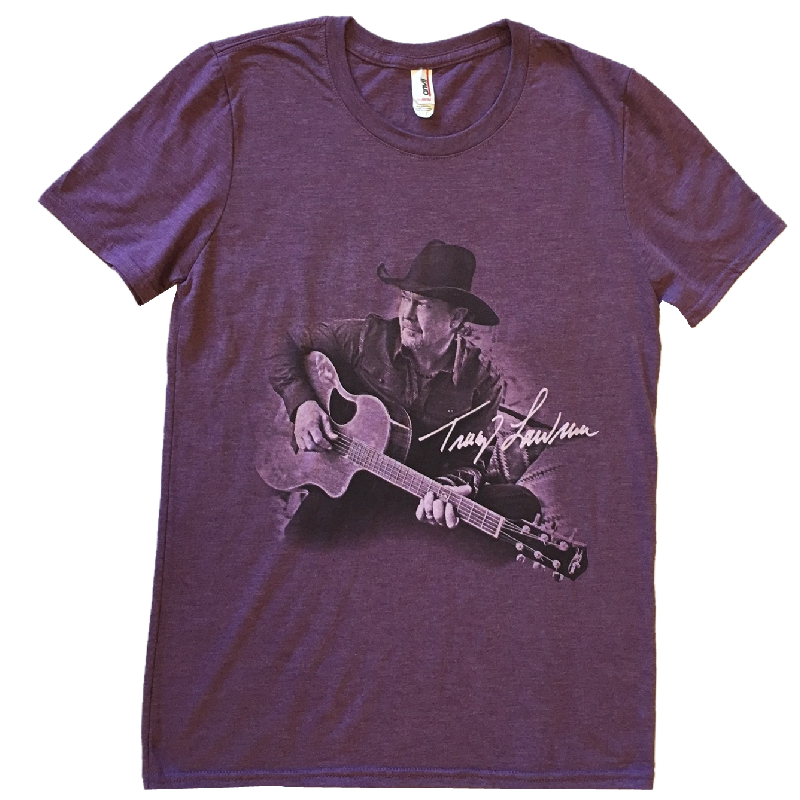 © 2018 Tracy Lawrence. All Rights Reserved.